We wish a happy belated birthday to fashion supermodel Kate Moss. 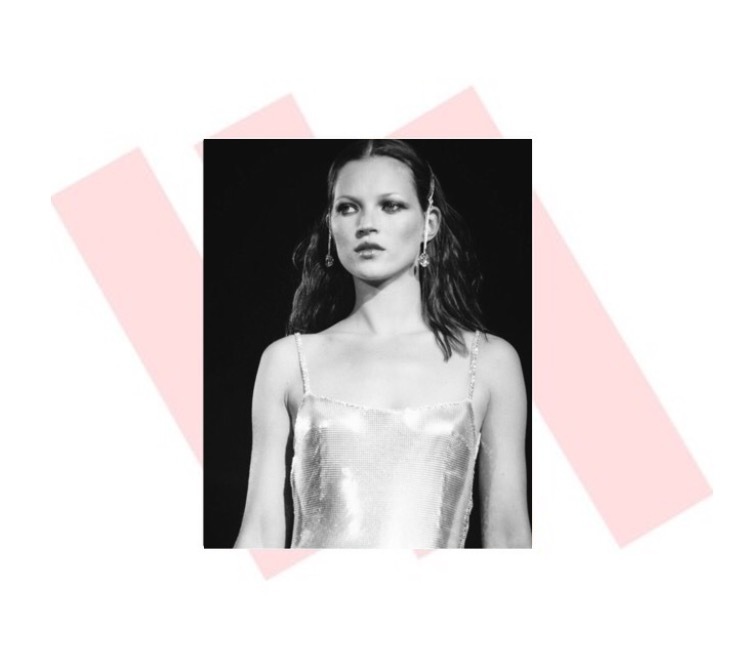 Moss was discovered at the mere age of 14 and has taken the fashion world by storm ever since. Today we honor her chic and everlasting style with a few of her iconic looks. Moss masters the model-off-duty look by pairing a simple black tee with a leather jacket. This versatile and easy look is perfect for on-the-go. While on duty she's the queen of the slip dress. This look gives us total 90s nostalgia, but has also been a more recent trend. If only we could all relax with a nice facial and a large diamond ring; she gives a whole new meaning to casual chic. Pictured again in the slip dress with model friend Naomi Campbell. Paired with statement earrings, layered necklaces, or no accessories at all, Moss shows how a staple piece like the silk slip can be worn for a night out. These sparkly earrings a equally fun and fashionable and can add shine to any outfit.